Tottenham are set to be without talisman Harry Kane for up to six weeks in their bid to keep pace in the Premier League title charge. The Spurs striker suffered an ankle injury late on in Sunday’s defeat to Manchester United in Wembley after a challenge from defender Victor Lindelof. 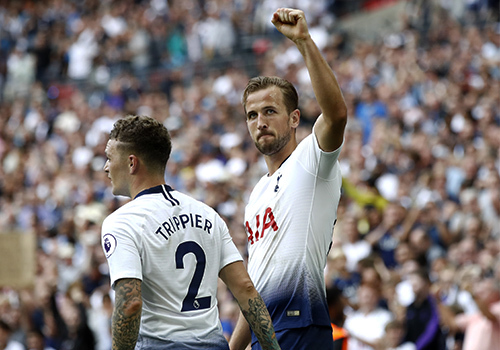 Further assessment on the extent of the problem has since confirmed a spell on the sidelines for Mauricio Pochettino’s top scorer, who has found the net 20 times across all competitions so far this season. Kane damaged ligaments in his left ankle and is not expected to return to training until early March, as reported on Tottenham’s official club website. Pochettino could meanwhile also be without Son Heung-min for the remainder of the month following his departure to compete in the Asia Cup with South Korea. An equivalent for Liverpool would arguably be losing Mohamed Salah in a potentially defining stage of the league title race, which currently sees Spurs trail the leaders by nine points. Reds will take no great pleasure in seeing a rival lose a star player, knowing full well of how both painful and frustrating that can prove. Jurgen Klopp isn’t without his own injury woes, with Trent Alexander-Arnold having been ruled out for around a month with a knee injury. This adds to Dejan Lovren’s hamstring problem and the ongoing wait for Joe Gomez’s return from a six-week layoff with a fractured leg. Notable absences and Nathaniel Clyne’s loan move to Bournemouth could now see James Milner deployed as a right-back when the Reds host Crystal Palace at Anfield on Saturday.